Rather than waiting for peers and competitors to lay the groundwork for blockchain, today’s IT leaders should consider the advantages of going early into this innovation frontier. The buzz on blockchain has certainly hit fever pitch. Name an industry, from supply chain to Cannabis, and you will find a business out there looking to build a supply chain platform for it. Are we seeing Gold Rush mentality? Pure hype? Or is blockchain the path forward? The Gartner 2018 CIO Survey, found that “only 8 percent of CIOs were in short-term planning or active experimentation with blockchain.” The 2018 Harvey Nash/KPMG CIO Survey found similar results with only 9% of 3,958 IT leaders surveyed worldwide saying they have plans to invest in block chain. Clearly, those CIOs who are making blockchain investments and plans right now are early adopters. My guess is that the reason behind those single digit percentages is that most CIOs are asking themselves: What are the advantages of embracing early blockchain adoption versus holding off? A better question for the entire business is this: Would my business be in a better competitive position today if it had been an early adopter of Cloud, Mobile, Social, SaaS, BPM or any one of the more widely hyped then widely embraced technology trends of the last 20 years? It’s a rare CIO who could answer no to that question. Speed of technology implementation has become a powerful competitive edge for businesses in a global marketplace where tech-driven change is relentless, and disruption is not a matter of if but rather when. More likely than not the CEO and other business leaders around your organization are already feeling the heat of the blockchain hype. They may be investigating where opportunities and advantages lie in using mutual distributed ledgers. Are these questions IT is ready to answer? Rather than ceding tech planning and enthusiasm to business teams and leaders outside of IT, it’s important for technology teams to dive into blockchain opportunity analysis earlier rather than later. Why? Because it’s hard to be a key player if you show up late to the game. The more technology becomes a part of everyone’s job and work, the harder it is for IT leaders to govern the many technologies and tech-driven projects that drive your business. Being the first to advocate and educate for emerging technologies is critical for IT in order to hold a position of trusted, esteemed leadership and win the right to drive the go-forward strategy. Blockchain has proven itself a highly viable technology: According to Allied Market Research, the distributed ledger market accounted for $228 million in revenue in 2016 and is expected to reach $5.4 billion by 2023. To own their roles as senior-most technology experts, CIOs need to have a firm grasp of any technology trend with billions of dollars of potential. ThreatMetrix released numbers showing that over that last two years there was a “100 percent increase in the volume of cyberattacks.” With constant and growing threats, it’s easy to see why IT leaders are focused on gate keeping rather than risk taking. The problem is that gatekeeping is also a way of locking out innovations and opportunities. Rather than saying “yes” or “no” to blockchain, CIOs should embrace “what if?” Internal hackathons, for example, are one way to bring business and technology teams together in intensive working sessions to consider how blockchain might work for the business. Leading investigations and innovation charges such as these are a way to step away from gatekeeping and move toward building the path forward. According to the Upwork Skills Index, blockchain skills are seeing fastest-growing demand among the 5,000+ skills on its site. In fact, blockchain skill demand increased 6,000% increase from Q1 of 2017 to Q1 of 2018. Those staggering numbers at a time of record low unemployment are evidence of how important it is for CIOs to begin building a pipeline of blockchain talent and resources now. 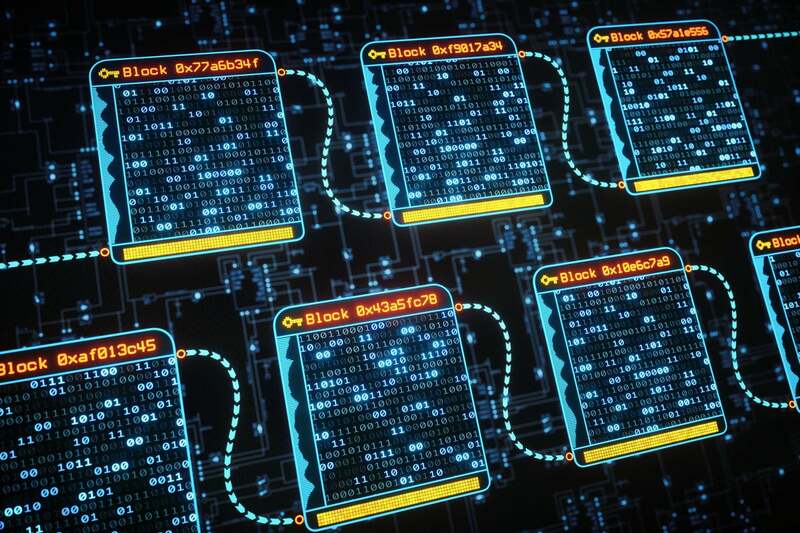 In the process of investigating blockchain for potential business opportunities, IT leaders need to also assess where they stand in terms of skills. Are there in-house employees with blockchain skills or potential for training? Do key partners or vendors have blockchain talent resources? As the skills gaps in IT continue to widen, here is a chance for CIOs to plan ahead. Is blockchain the biggest most transformative trend to hit technology and/or business sector? Absolutely not. It’s just the “next big thing,” just like the Internet, data centers and outsourcing were all once the “next big thing” to transform IT and business operations. As innovation opportunities arise faster and faster, CIOs simply have to learn how respond in smaller windows of time. Whether your final choice is to implement an emerging technology or not, assessing the opportunity ahead of your competitors and in partnership with business colleagues will win you the time and the insight needed to be a thoughtful, transformative technology leader.